We Make True Custom Canvas Stretchers! 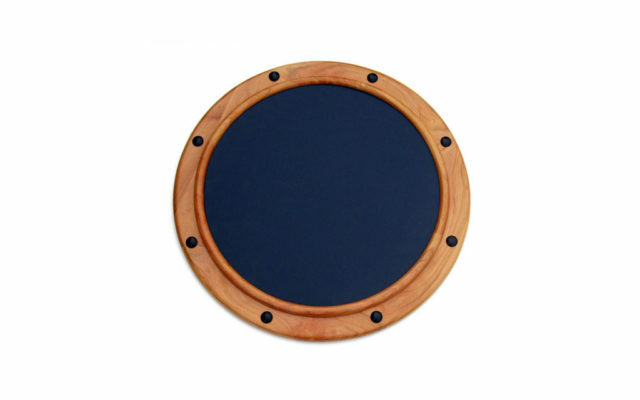 We are one of a few suppliers that offers round – oval canvas stretchers and floating frames made of hardwood or painted composite material. Other geometric shapes such as triangle, arch, cathedral, etc. are also available. Our canvas strainers – stretchers are made of birch plywood. Smaller sizes are shipped in one piece and larger units can be shipped unassembled to save on freight charges. Round or Oval stretcher frames do not need to be expensive and we offer a great solution! 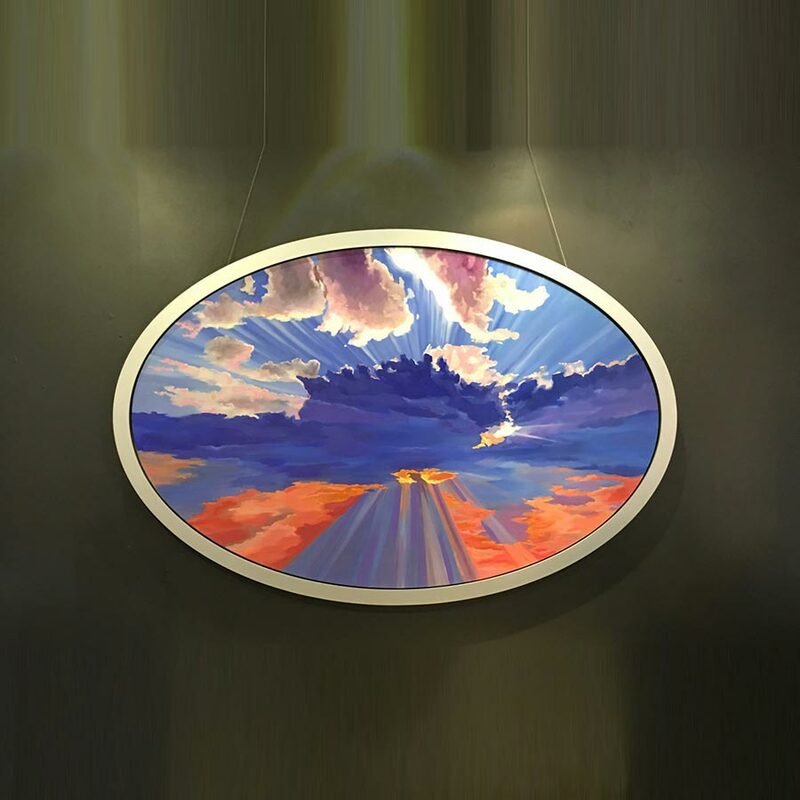 Round Floating Frame with Our Round Canvas Strethcer. Hardwood Floating Frame with Canvas Stretcher. All of our canvas stretchers feature a raised lip on the outside edge. We offer stock size round canvas stretchers many of which are available to ship immediately (see “get estimate page”). Other shapes – sizes can be built to your specifications; please inquire! 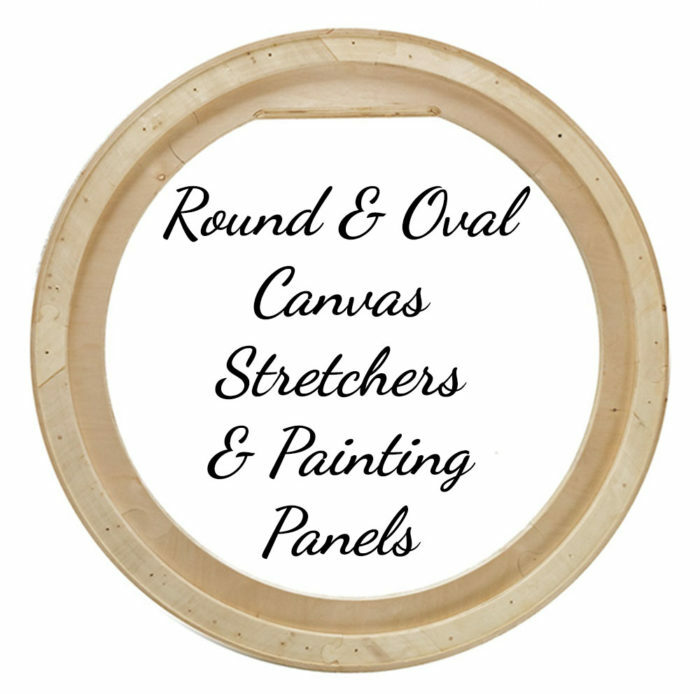 A quality round canvas stretcher is essential for an artist to do a tondo painting. Stability, durability, and superior construction are keys to producing a lasting piece of art on a round canvas strainer. 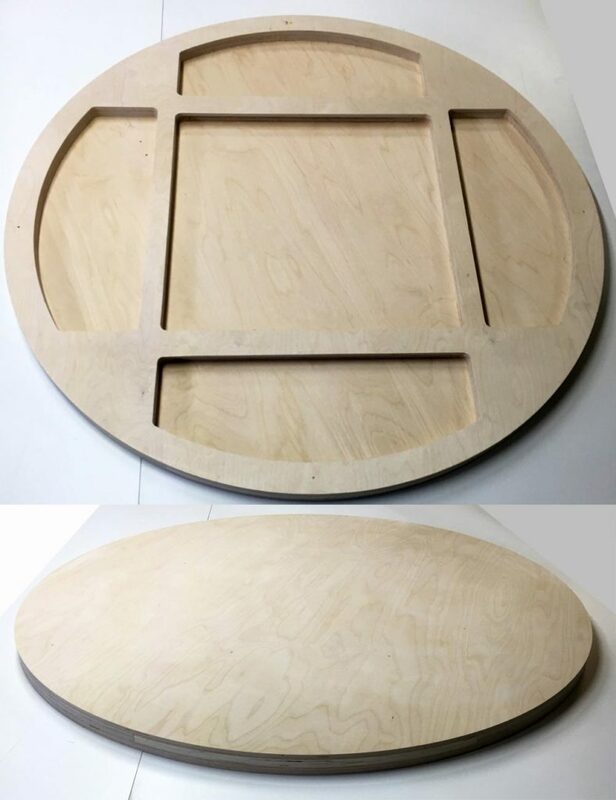 Crone’s Custom Woodworking is one of the few manufacturers of round and oval canvas stretchers and painting panels. 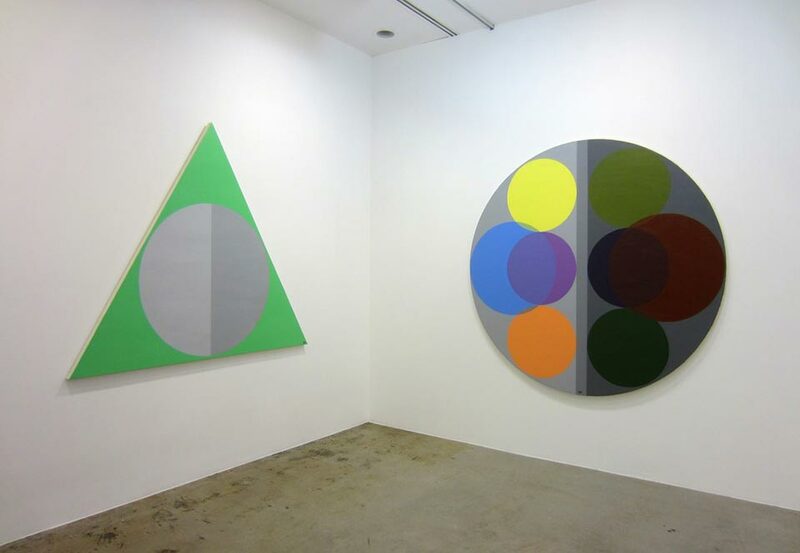 Our process accommodates not only round canvas stretchers, but any shape you need. Our unique process enables us to ship large frames collapsed for assembly at your location. The canvas stretcher goes together like a puzzle, resulting in a strong canvas stretcher that will not require center supports. This means even a 15-foot canvas stretcher is within reach without exorbitant shipping expenses. We make most of our canvas stretchers with birch plywood. 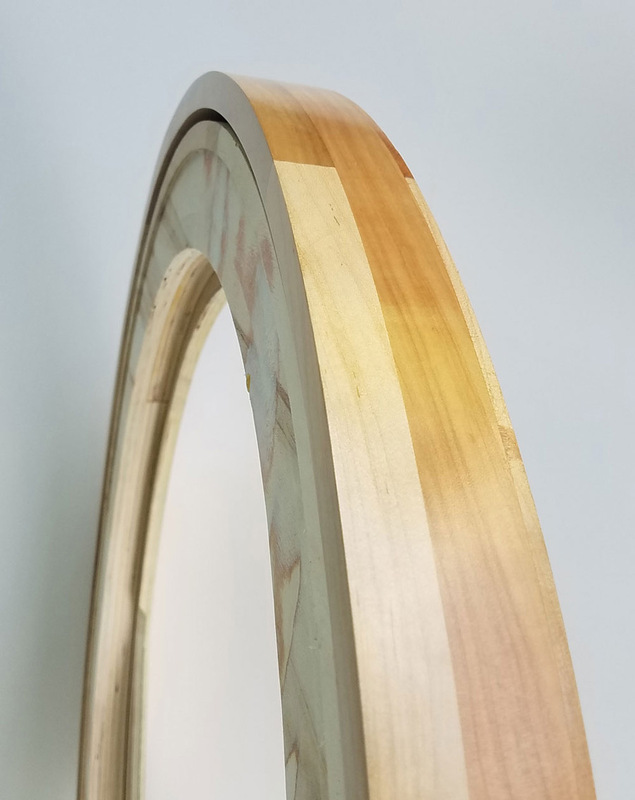 Our round canvas stretchers include a raised lip around the perimeter to suspend the canvas away from the stretcher frame. This provides a smooth, even surface for tondo painting. Large stretchers also include a built-in plywood French cleat for secure hanging of the unit. For printed canvas, or for applications where a solid surface is desired, artists might choose a canvas strainer. A strainer is built the same as a stretcher, but without a raised lip around the edge. We offer cradled painting panels that can be gessoed. The panels can be painted on directly or covered with canvas. Our artist panels are made of a ¼-inch thick plywood face and ¾-inch plywood “cradle” around the perimeter. The total unit is typically one inch thick. Cradled painting panels have the advantage of being lightweight and consistently flat. A thicker 1 ¾-inch option is also available, offering additional depth to the artwork. 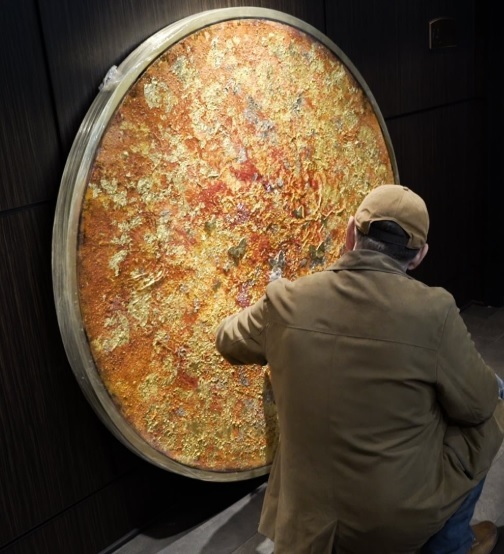 Cradled painting panels in sizes larger than a 36-inch diameter are available with cross-member supports through the center for added strength. 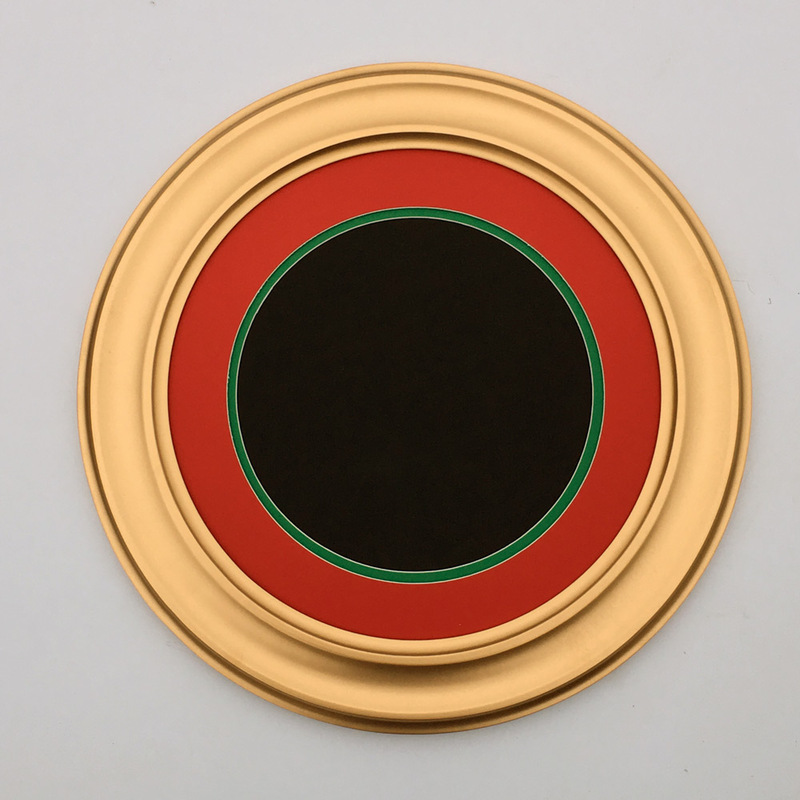 The perfect addition to your tondo (round) painting on canvas is a frame that complements and enhances your artwork. 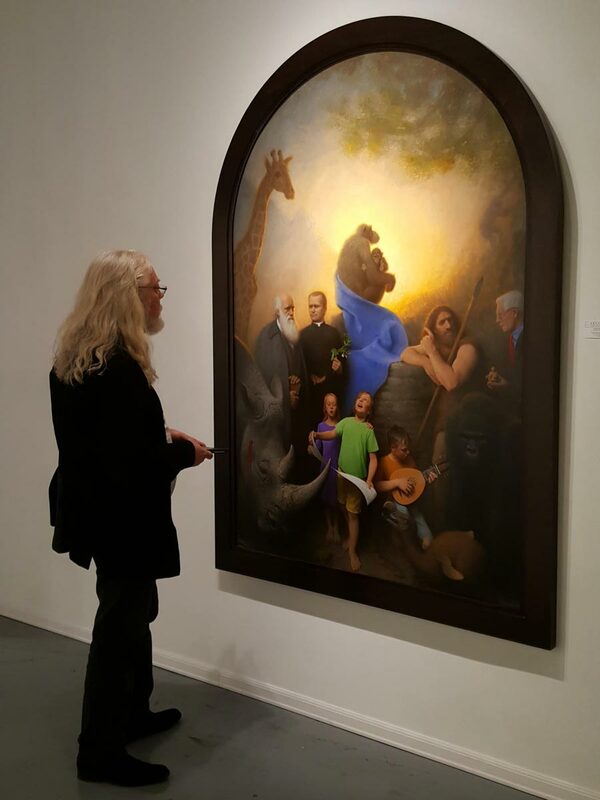 Floating frames allow the artwork to be mounted from the face rather than the back like a conventional frame. Your artwork appears to “float” inside the frame. This also will help hide folds on the canvas going around the stretcher. 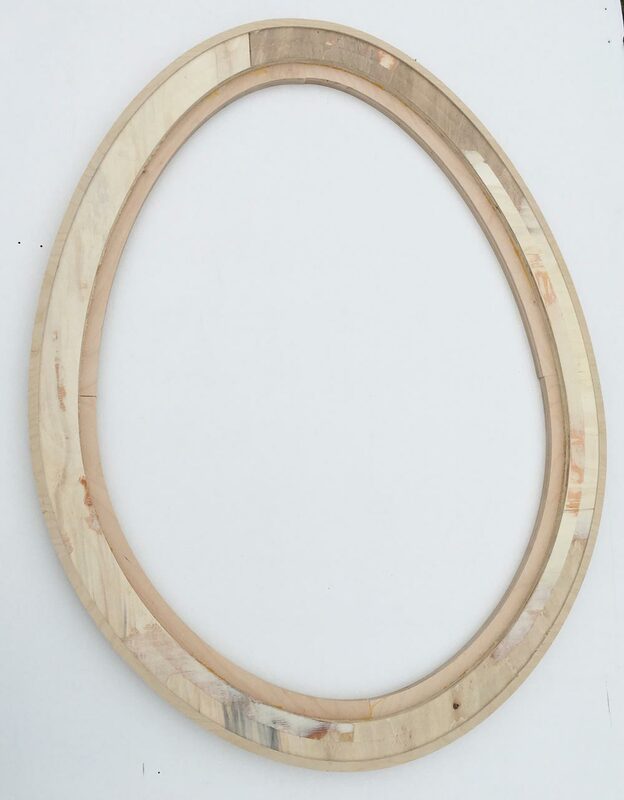 Our round floating frames include a built in French cleat which makes hanging a breeze. 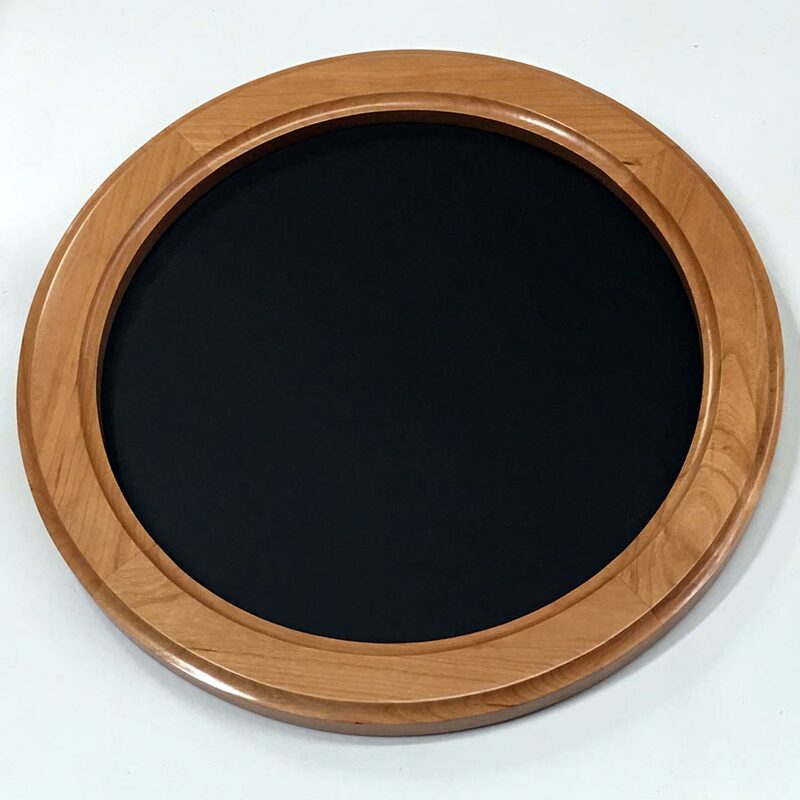 Round floating frames are available in hardwood or painted composite surface.